Five AmeriCorps volunteers recently descended on our wonderful but chaotic peace museum library and digital collection and completely reorganized it for us! Guided by Charlotte Chinn of the Ohio Reading Corps, the group did a wonderful job of cataloging scores of new books and creating some much-needed order across the library. This included organizing the recent years' editions of winners and nominees of the Dayton Peace Literacy Awards. The books are now in order, making each one easy to locate on the shelves for anyone in the community who wishes to do research or borrow from our growing collection. 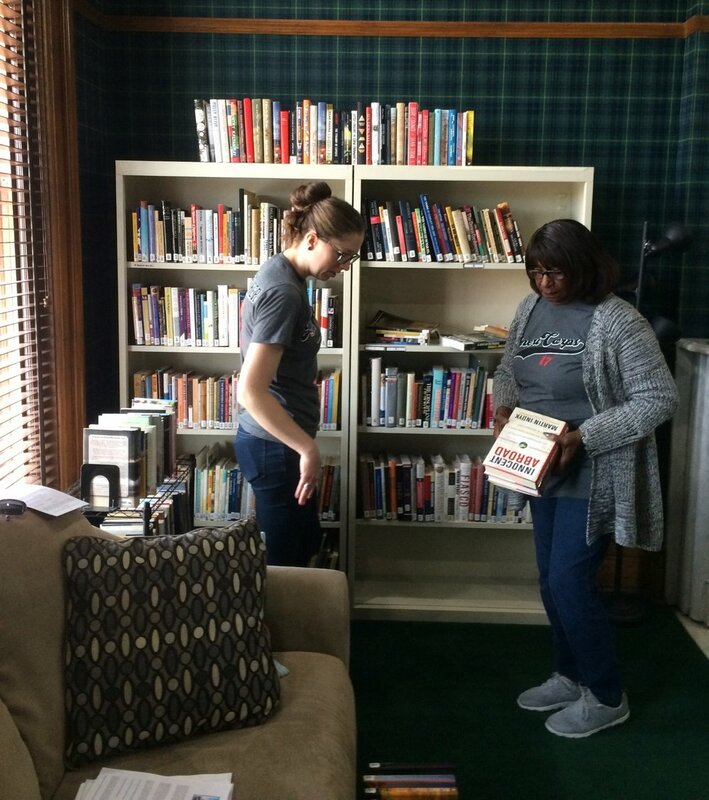 AmeriCorps Volunteers Organize our Library! Are you a teacher or writer? Just interested in peace studies? Anyone in the community can borrow from our library collection of books, CD's, DVD's and manuscripts to do research, gain insight, or create lesson plans free of charge!